Filled with beautiful illustrations, this simple story celebrates the true joys of the Christmas season. 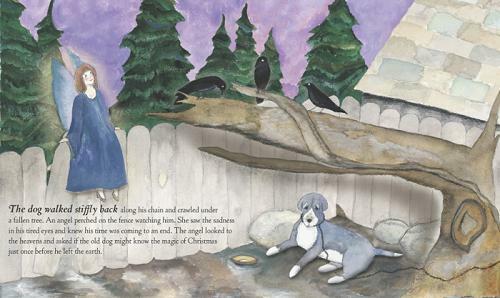 Animal lovers will want to make reading this book on Christmas Eve part of their holiday tradition. Old Dog and the Christmas Wish is for those of you who believe in Christmas miracles…and for those of you not quite certain. The dog walked stiffly back along his chain and crawled under a fallen tree. An angel perched on the fence watching him. She saw the sadness in his tired eyes and knew his time was coming to an end. The angel looked to the heavens and asked if the old dog might know the magic of Christmas just once before he left the earth. The next day was Christmas Eve. Visitors came and went from the neighbor’s home. It was evening before the dog walked to the end of the fence and looked around the corner. Wooden figures now stood in the grass. Two knelt over a baby sleeping in a bed of hay. A cow and a donkey huddled nearby. A shepherd stood with his sheep. Above them, a glorious star illuminated the heavens. 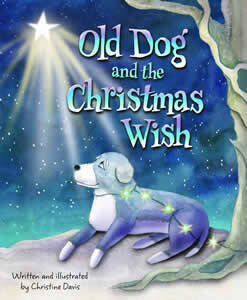 The old dog looked at the sleeping baby and knew this child was special. He searched the yard, certain there would be a dog at this wondrous celebration to keep watch over the child. But no dog stood with the animals. No dog sat by the child in the hay. It was the week before Christmas 2004. 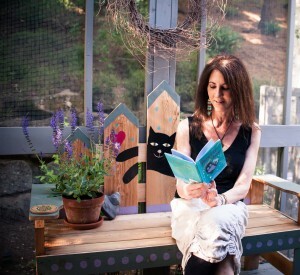 Author Christine Davis was driving home on a cold, wet day and passed a neighborhood dog, tied to a tree stump. 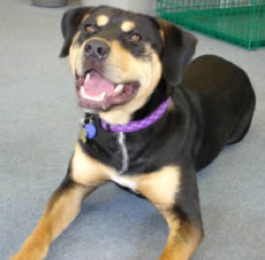 When Chris stopped to speak with the family she found out that Maya, an exuberant 80 lb. puppy, had been left by a relative who could no longer care for her. After bringing Maya treats, toys, and even a large dog house, it became clear to Chris that what Maya really needed was a loving home. With the help of a local veterinarian, and several other caring people, Maya was admitted into Project Pooch, an organization that pairs incarcerated youths at a correctional facility with dogs who need a little “behavioral assistance” so they can find good homes. 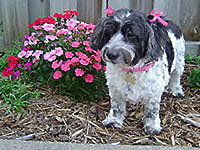 Happily, Maya (now known as Michelle) found her forever family! When the author first met Maya, the children invited her into their home and showed her a treasured Nativity set that stood on a bookshelf. She didn’t know it at the time, but that simple moment would become very meaningful in the days that followed the Christmas holiday. It was in the shower, on New Year’s Day 2005, that Chris heard a story being told to her about an old, forgotten dog who wanted to leave the sadness of his earthly existence. The answer came immediately. “The Nativity,” she heard. 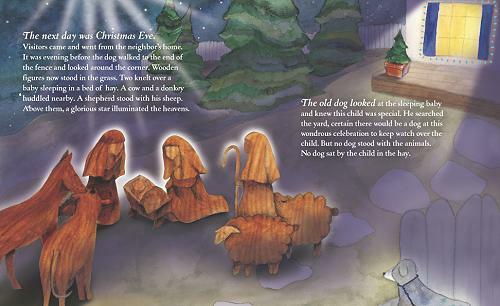 Thus began the story of Old Dog and the Christmas Wish, a book about a forgotten dog who sees a neighbor’s Nativity display on Christmas Eve and knows he has one more task to complete in the short time he has left on earth.